To prevent business practices that are anticompetitive or deceptive or unfair to consumers; to enhance informed consumer choice and public understanding of the competitive process; and to accomplish this without unduly burdening legitimate business activity. 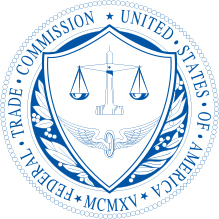 As a consumer or business person, you may be more familiar with the work of the Federal Trade Commission than you think. The FTC deals with issues that touch the economic life of every American.